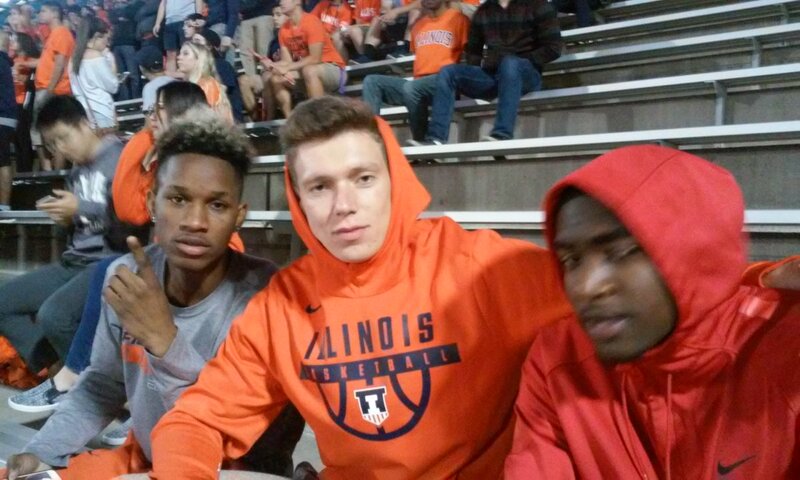 What’s the NCAA’s beef with Trent Frazier? 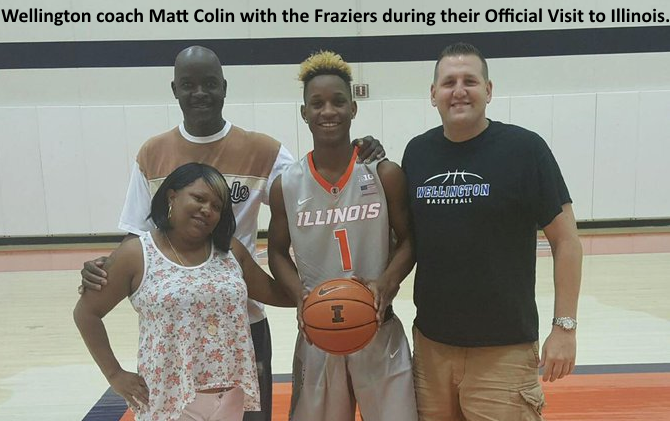 On August 19, 2016, the University of Illinois men’s basketball program committed an NCAA recruiting violation when Dustin Ford, Jamall Walker and Paris Parham drove Frazier and his parents from O’Hare Airport to Portillo’s Hot Dogs, and bought them some dinner. The Fraziers’ flight from Florida had been delayed, significantly. 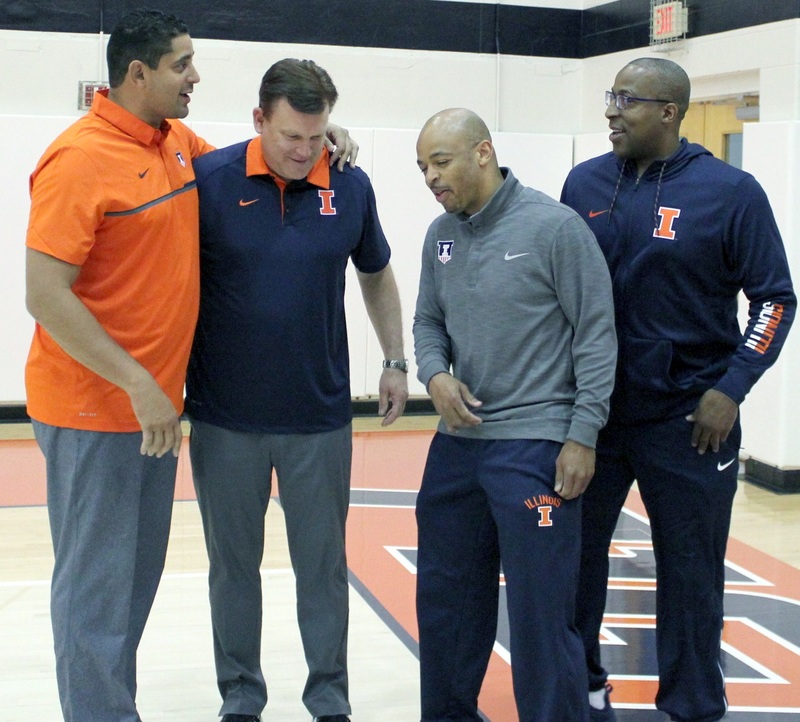 The three Illini coaches hopped into a car and drove from Champaign to O’Hare, knowing the Fraziers would miss the last connecting flight to Willard Airport, and not wanting them to be stranded. The coaches met the Fraziers and Trent’s high school coach Matt Colin at baggage claim, just as everyone learned the bags would be delayed too, by about 45 minutes. Colin and the Fraziers hadn’t eaten in seven hours. So everyone got in the car and drove the 7.6 miles to the corner of Dempster & Western, in Niles (not 6.6 miles to the Portillo’s at Busse & Greenleaf in Elk Grove Village, mind you). They were in the restaurant for 15 to 20 minutes (significant). 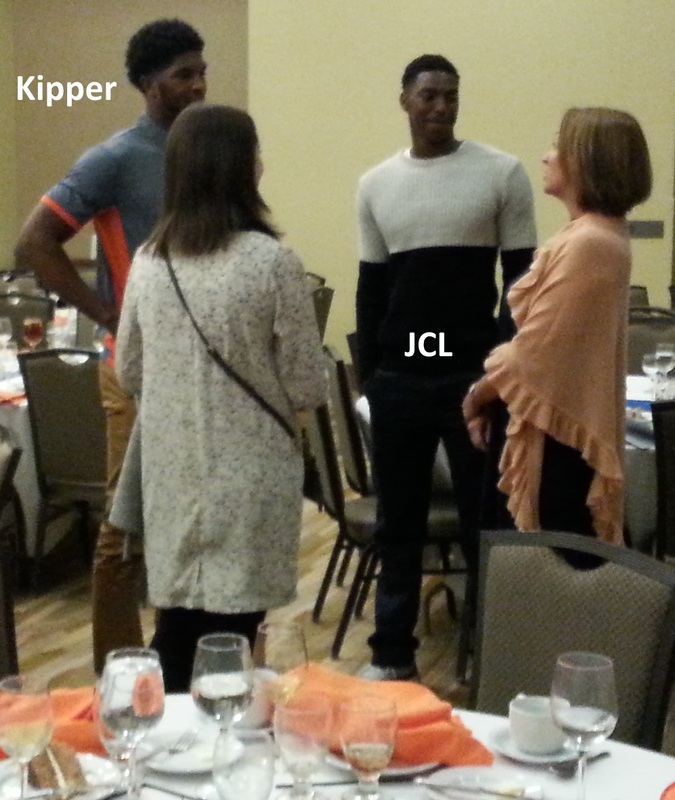 Then they went back to the airport, collected their bags, and drove to Champaign. It was about 1:30 a.m. when the Frazier entourage finally checked-in at the i-Hotel. 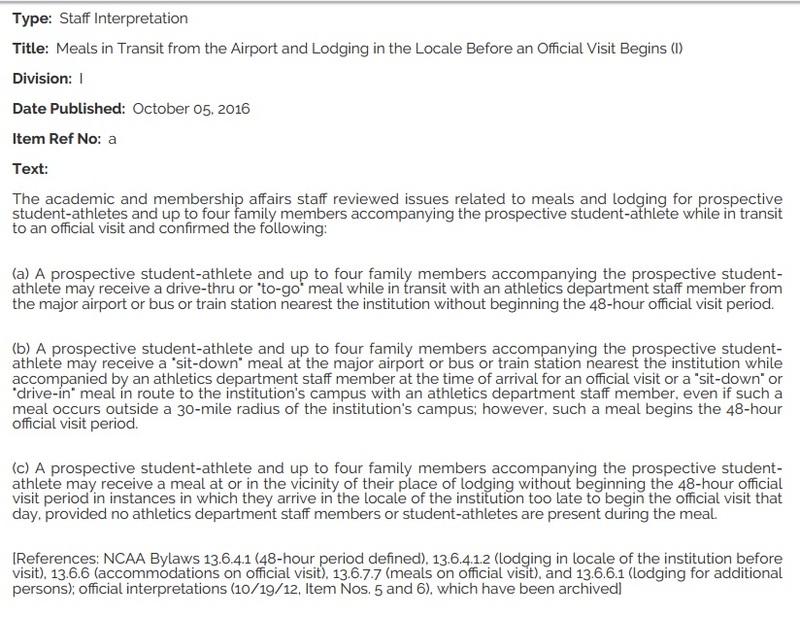 Transportation, lodging and meals are all legit expenses for Official Visit purposes. So why was this $80.29 impermissible? Because the NCAA is the second-dumbest organization in the world. Meals are okay. Transportation is okay. But meals during transportation? That invokes a particular sub-chapter. It’s okay, but only if the food is carry-out. 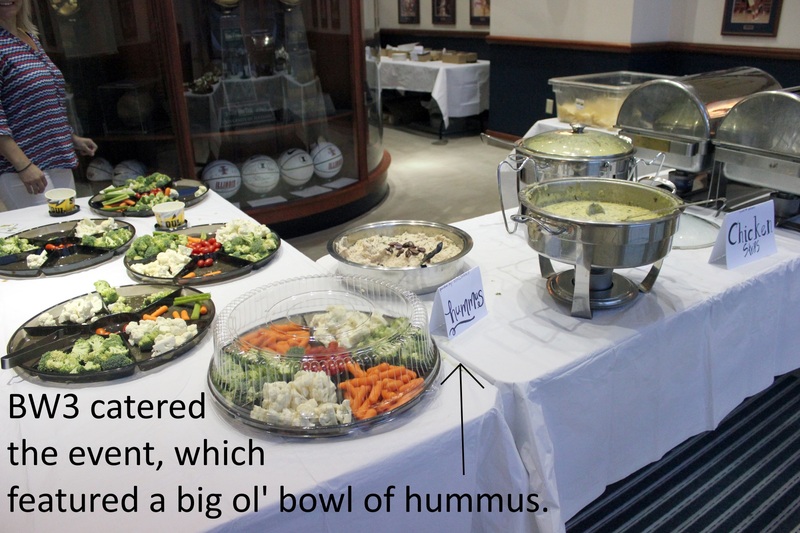 IF you sit down while you’re eating, if you’re not trying to swallow that delicious dipped, hot & sweet gooey mess while in motion, the NCAA has sees red. The other “problem” with this series of events, judged using the demented logic of the NCAA, is how it affected the imaginary clock which times an Official Visit. That clock can’t or does start to pretend-tick based on particular triggering events, like proximity to campus. I’d explain the rule further, but nobody really understands it. You wouldn’t understand it. I don’t. Because the flight was delayed, the Fraziers were expected to fend for themselves in an unfamiliar city <–or–> because they arrived on campus so late in the day, they should have paid for their hotel. There’s a magical hour at which the feisty, opinionated little clock prefers to wait ’til morning to begin pretend-ticking. In the end, some work was generated for administrators and administrative assistants, some of whom will still have jobs if Bruce Rauner and Mike Madigan ever agree to pass a budget. *In reading the receipt, you’ll be surprised to find that no one ordered a combo. 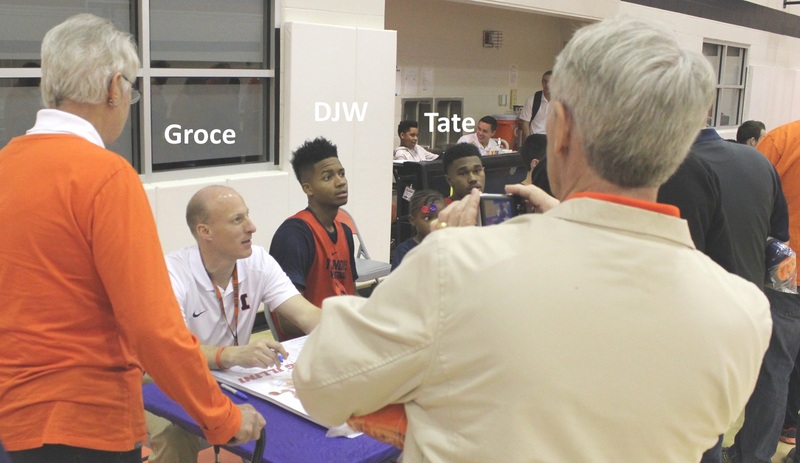 Episode 2 of Infractions From The Groce Era. Here’s another story of the NCAA and its silly rules. 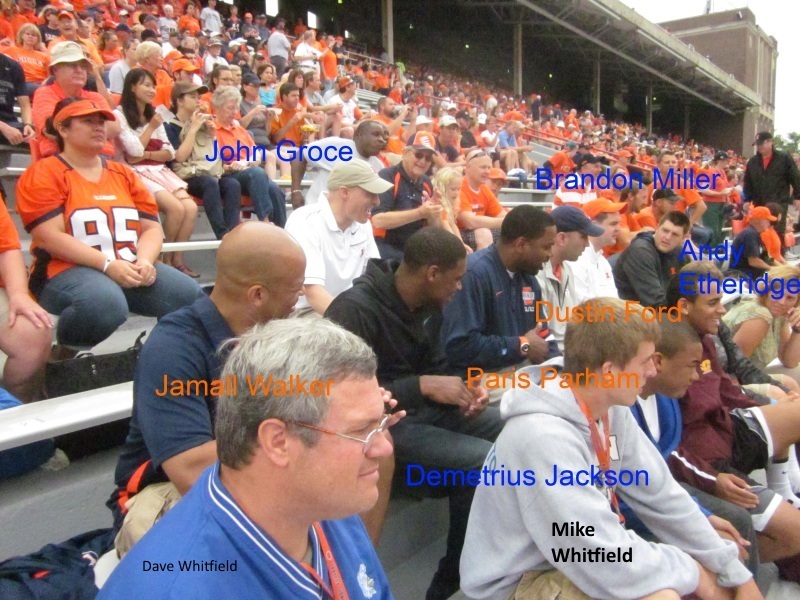 On August 30th 2012, Jamall Walker drove Demetrius Jackson & Quron Marks 208 miles from their home in Mishawaka, Indiana to Champaign. It was a Thursday. Unfortunately (?) Quron Marks was a high school athlete. That means, as far as the NCAA is concerned, that he was a prospect. 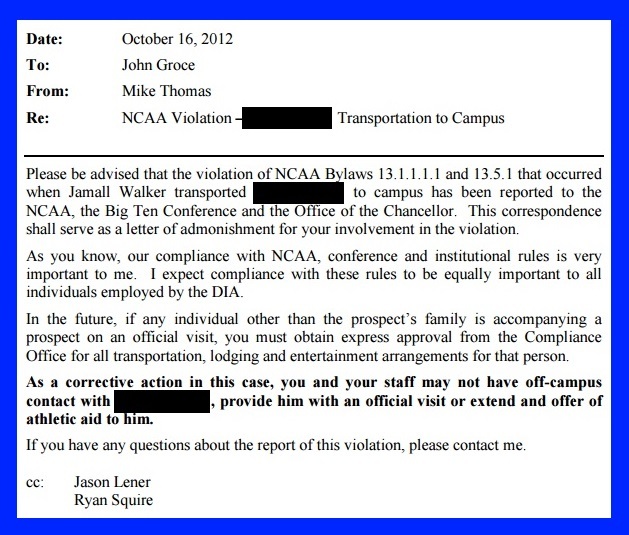 Driving him to campus was an NCAA violation. 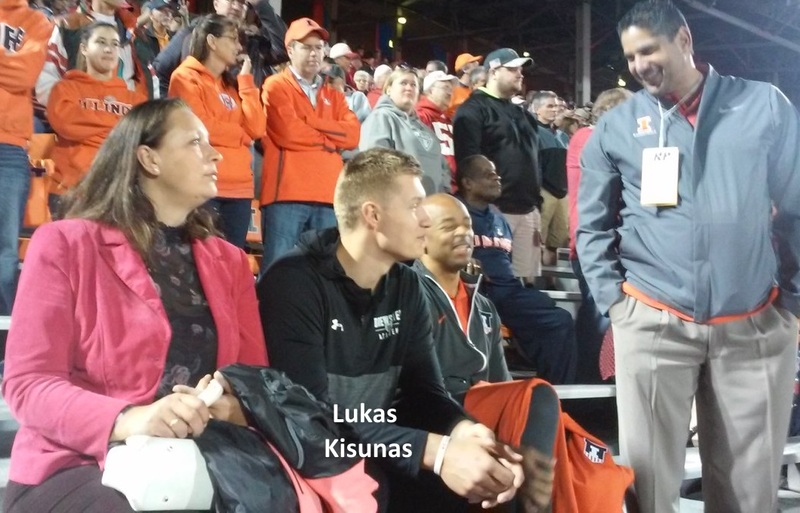 Jackson’s adoptive family, the Whitfields, came to town on Saturday, September 1st, and watched some of the football game against Western Michigan. Then they drove the two boys home. The story of Jackson and the Whitfield family is very well documented. Basically, they took him in when he needed a home. Quron Marks paid for all his meals “and entertainment” during his visit. But that’s immaterial. 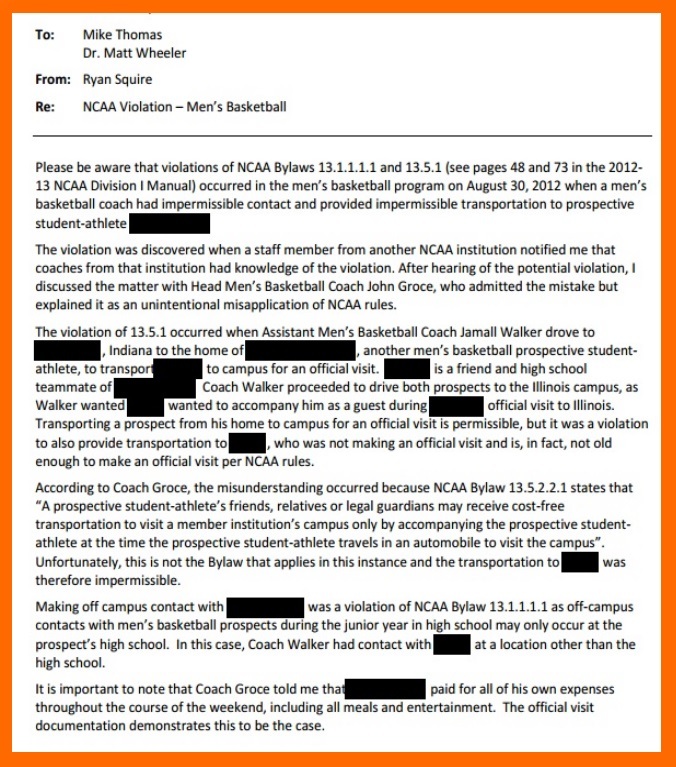 Walker gave him a ride valued at $106.08 ($.51 per mile), so unless and until Marks reimbursed the university, he was ruled ineligible to receive an athletic scholarship (that wasn’t offered). 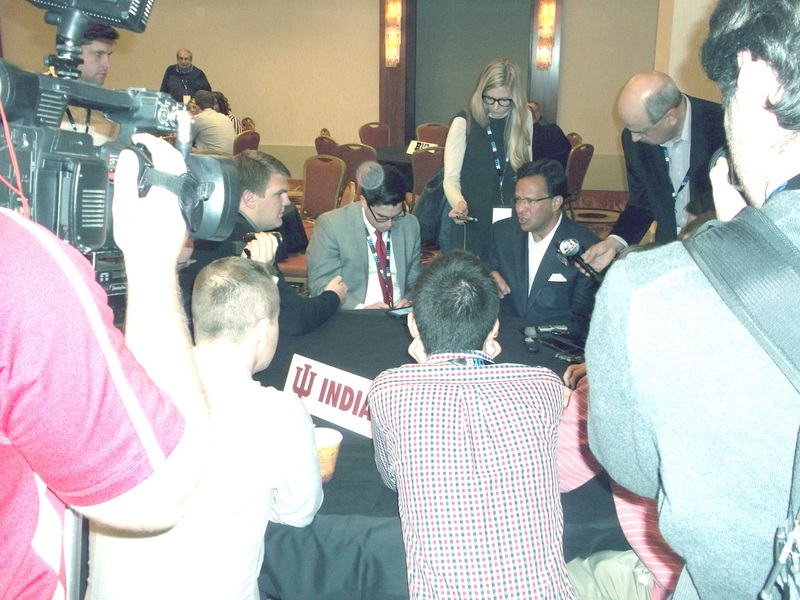 Ryan Squire — then in charge of compliance at the Division of Intercollegiate Athletics, now its Chief Integrity Officer – says this wouldn’t be the case if the recruit were Michael Finke, and the addition guest his brother Tim. That is going back a little ways, but I don’t recall the other prospect being a foster brother. I thought it was just his good friend from Mishawaka. 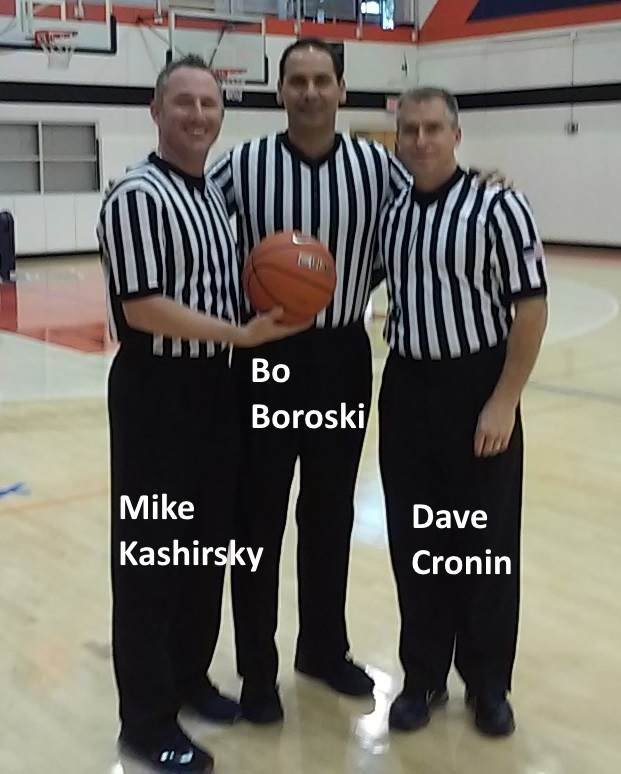 It would absolutely have been different if the other person was his relative as NCAA rules give us some relief when a brother or sister is a prospect and wants to be part of the official visit. So, for example, we could transport Michael Finke’s brother to campus along with Michael and his family for the official visit. We could not, however, transport one of Michael’s high school teammates to campus for the official visit. Marks eventually enrolled at Bethel College, and then Holy Cross College (NAIA). 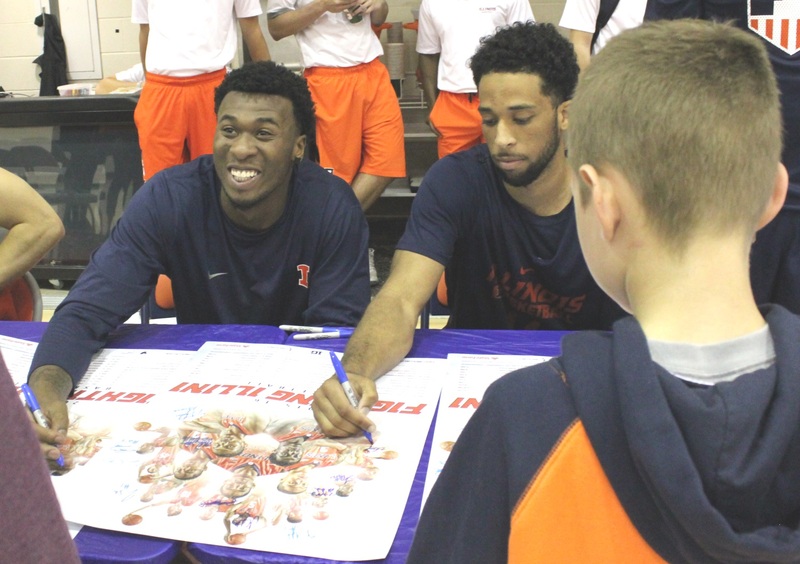 Jackson played for Notre Dame, beating John Groce and the Illini in the grand reopening of State Farm Center on December 2, 2015. He’s now playing for the Boston Celtics. 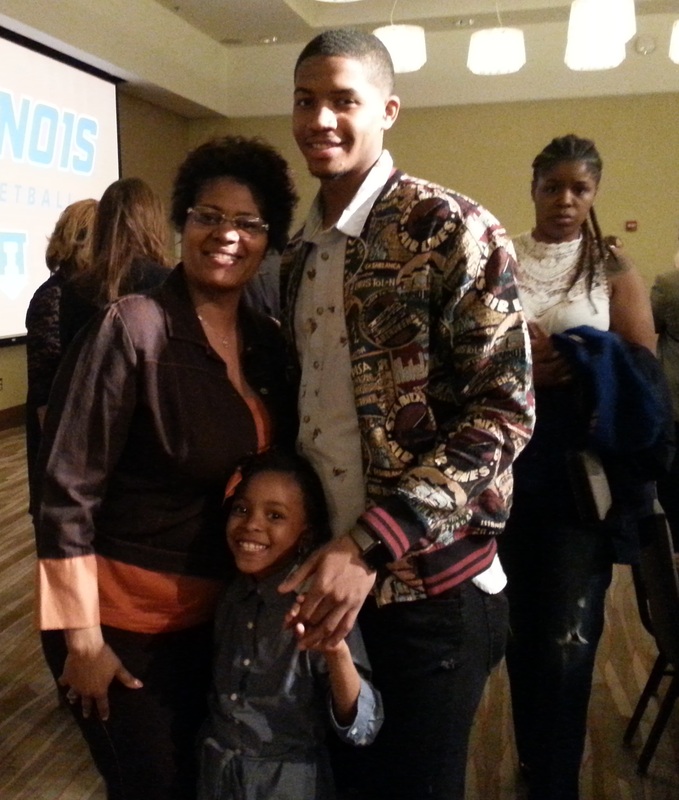 Jackson’s eligibility to play for Illinois was not affected by this infraction. Only Marks’s was. And lots of paperwork was generated. 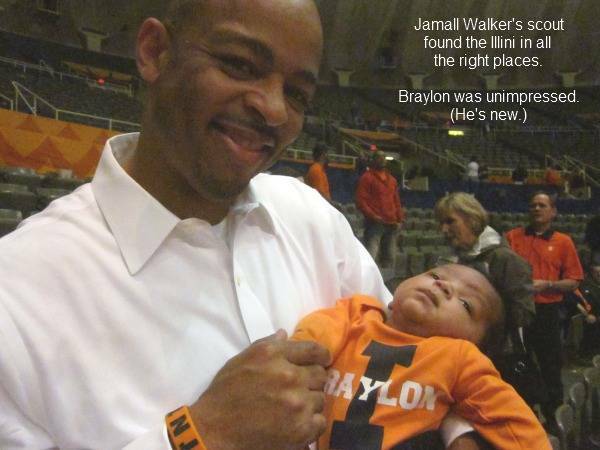 There’s still no official word that Jamall Walker will remain with Brad Underwood’s staff. There’s no reason to believe he won’t. The other positions? We don’t know. Walker’s retention was considered vital to the retention of St. Louis-area recruits. 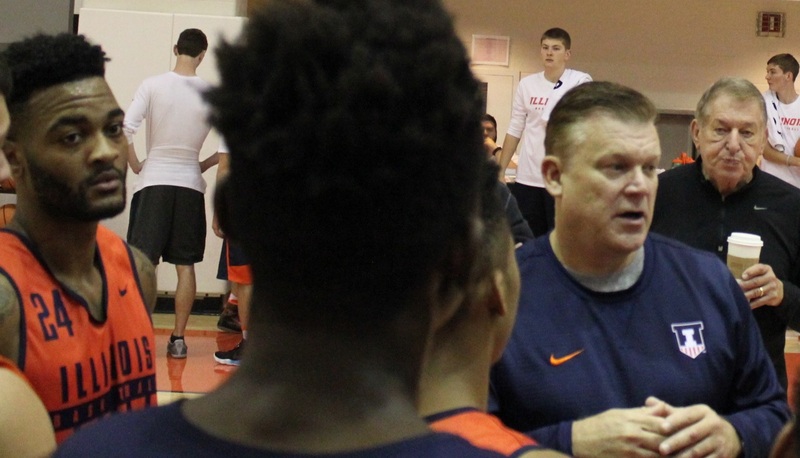 That’s part of his territory, as is Texas, where Brad Underwood already has plenty of contacts. 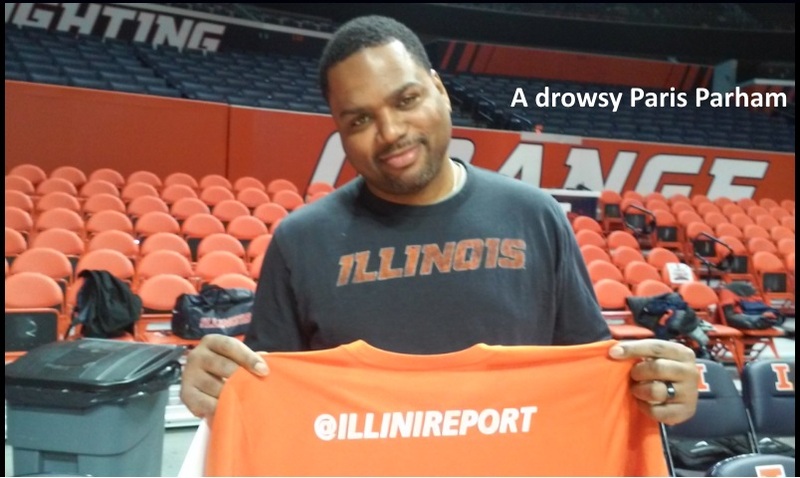 Has Walker been the best Illini recruiter over the past five years? 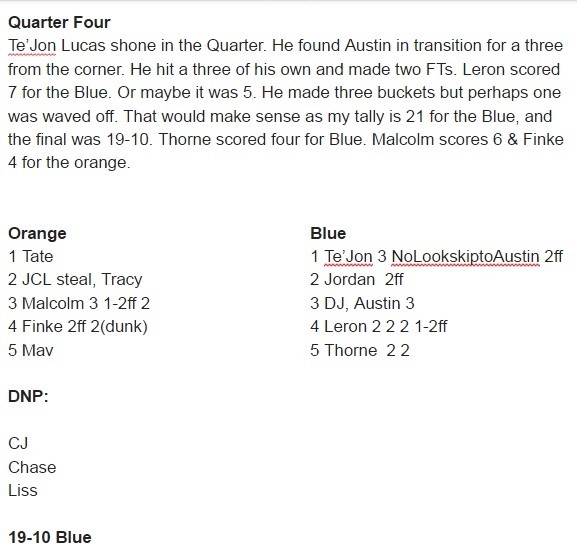 The two breakout players this season were scouted by Paris Parham and Dustin Ford. Ford’s assigned territory includes Ohio. Parham’s area includes Wisconsin. As America’s coaching fraternity packs for a trip to Phoenix this week, many of them don’t know where they’ll be working next week. But they’ll probably find out soon. Parham will be in Phoenix and, until anyone tells him otherwise, he says he’ll be there as a representative of the University of Illinois. The airfare and accommodations were booked long ago, but the staff is not traveling together. 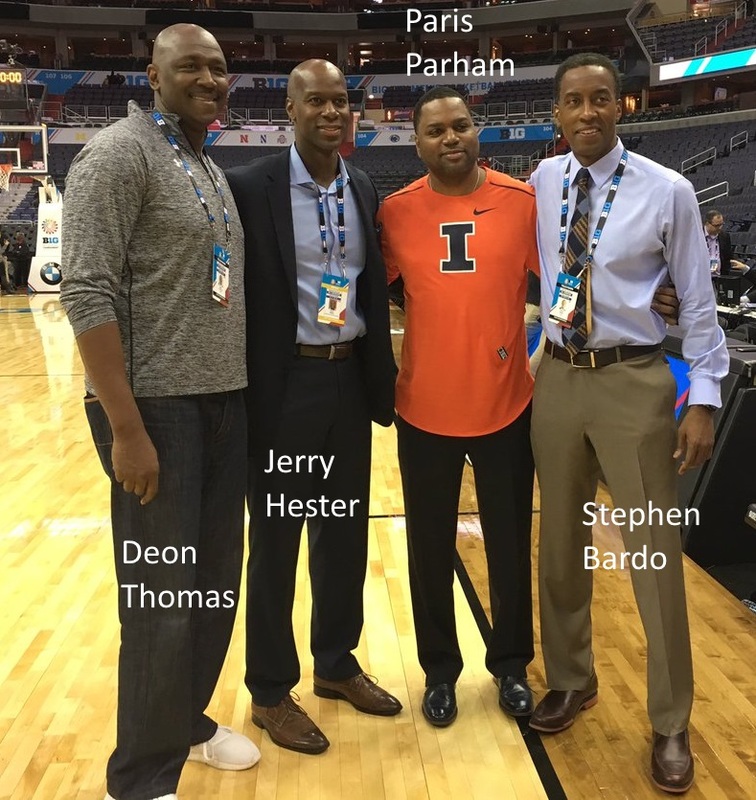 Stephen Bardo cautions Illini fans eager to bring back one of their own. It’s tough for anyone to hire another coach if they don’t have an existing relationship. That’s one of the reasons why Jamall was kept, he had a really good previous relationship with Underwood. 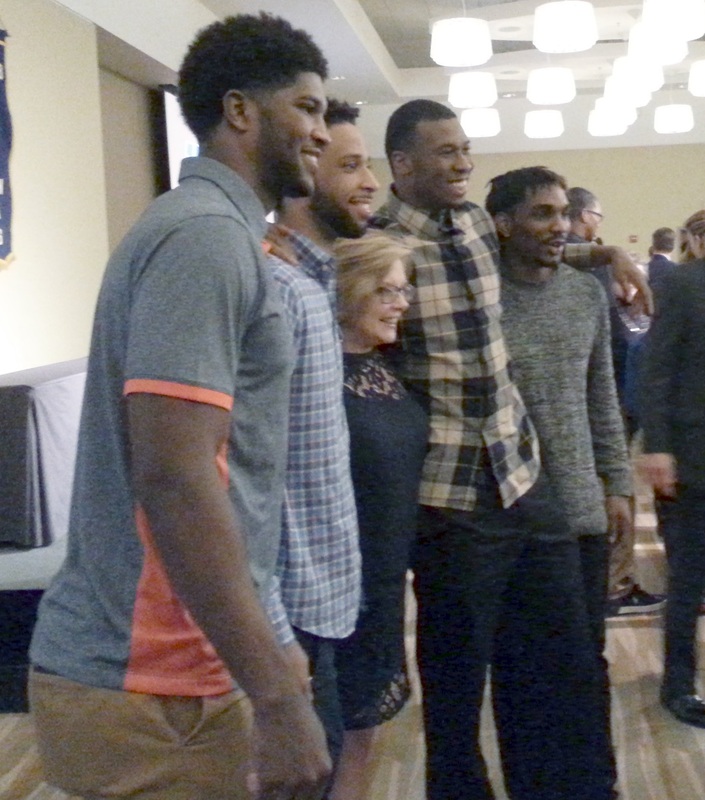 We’ll see what happens but in the meantime it would be wise for Deon, Roger Powell, Jerrance Howard, and Dee Brown to start to develop a relationship with Josh Whitman and Brad Underwood. Who are those folks back in Kansas? Well, if you didn’t know, Jamall Walker is a Wichita native. Underwood recruited his older brother. Underwood remembers it differently, at least for public consumption. i.e. he didn’t talk about meeting Jamall’s brother. He talked about recruiting Jamall himself. We have talked a little about the assistant coaches and he is going to hire who he thinks gives us the best chance to win and get good players from the state and in other regions that a guy can tap into. You have Bret Just on your side and that is key. 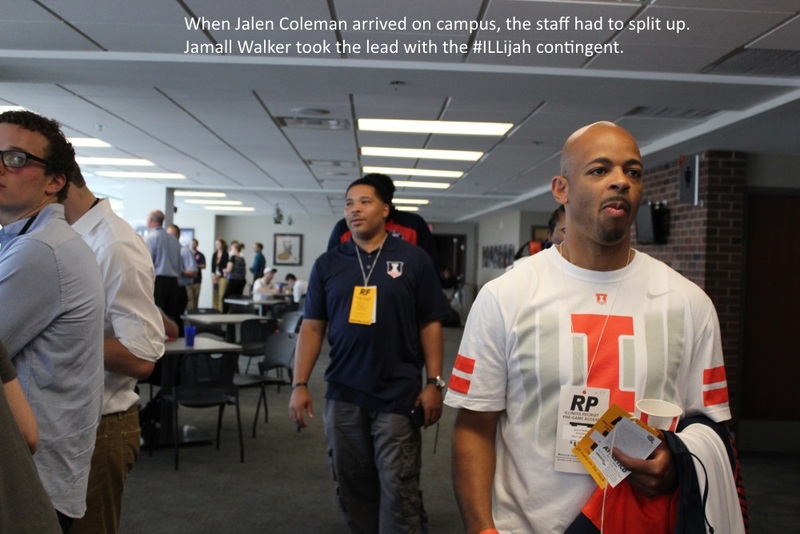 Two names that have come up are Emanuel Dildy & UIC assistant Ronald “Chin” Coleman. 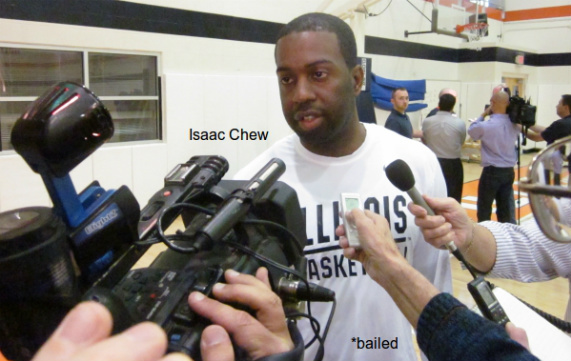 Coleman interviewed with John Groce for Isaac Chew‘s job in the summer of 2012. That job went to Parham. Coleman instead joined Tim Miles at Nebraska for six months, as Director of Player Development. (He’d been an assistant coach for Miles at Colorado State.) Then he joined Dustin Ford’s brother Geno for one year in Peoria, orchestrating the final demolition of Bradley Braves basketball. 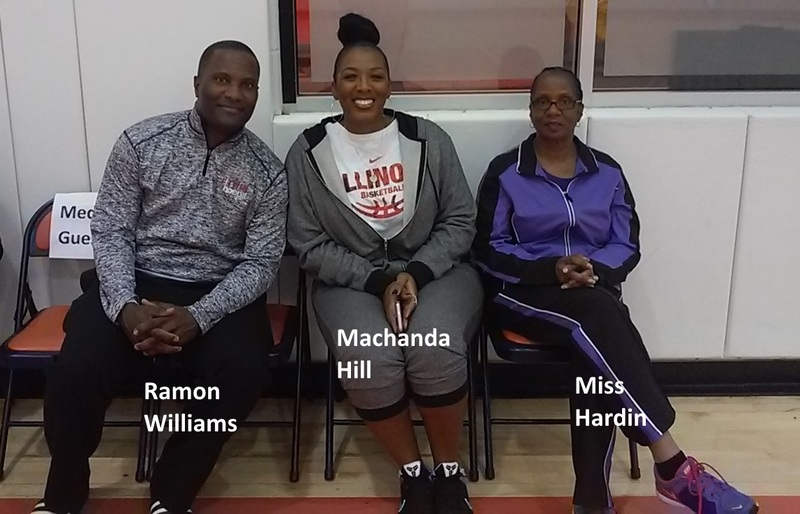 Coleman worked with Thomas for a year under Steve McClain at UIC From 2005-11, Coleman was the head coach of Chicago’s Mac Irvin Fire AAU team. And speaking of Steve McClain, his assistant coaching position at Indiana was filled by former Illini star Rob Judson, who is also available for hire. 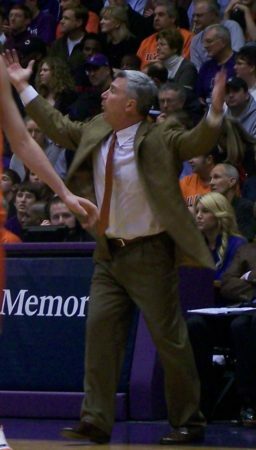 Judson is arguably the most successful assistant of the last quarter century, having helped both Lon Kruger and Bill Self to B1G championships. The assistant positions might be finalized by this afternoon. Maybe they’ll be finalized in Phoenix, over the weekend. Then again, remember how this worked five years ago. 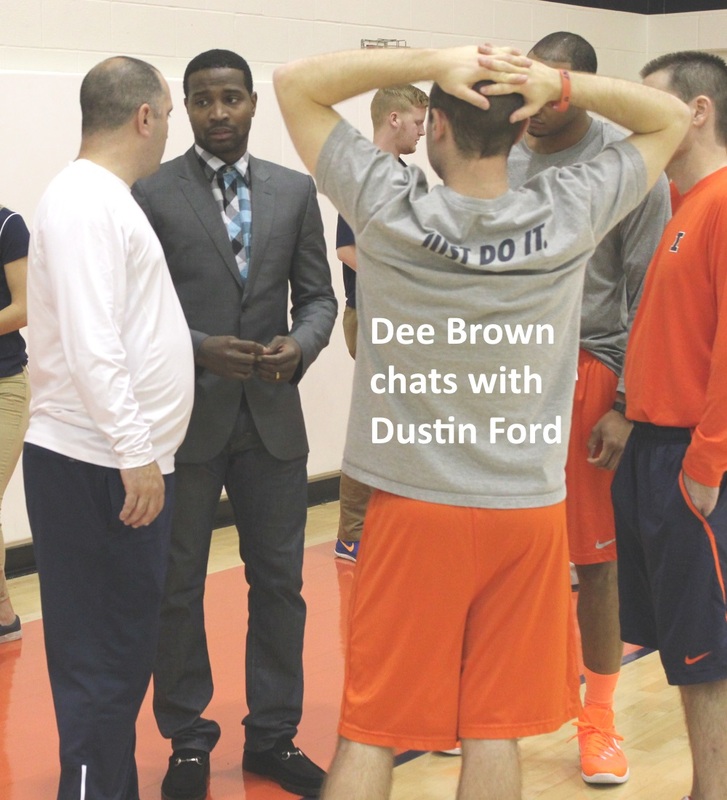 The Illini athletic director promoted the ace recruiter to the interim position. The new head coach did not retain him. 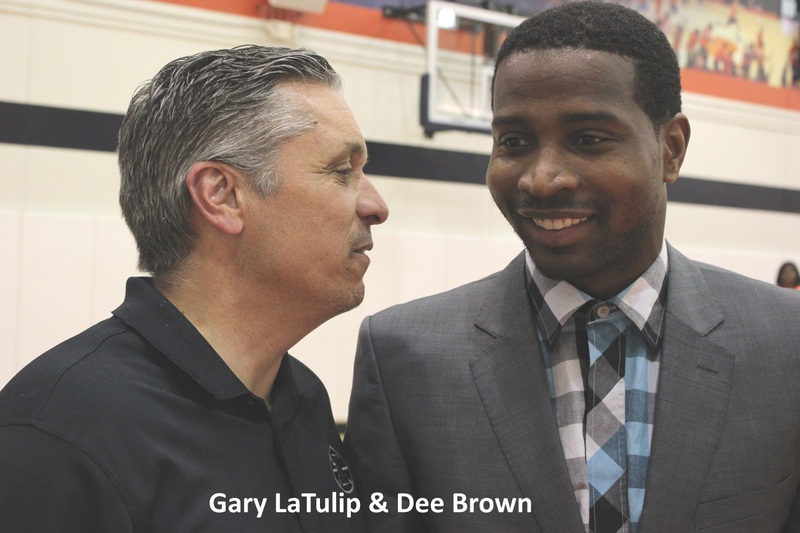 Two of the new head coach’s initial hires departed Champaign almost immediately. A third left within a year. Whatever happens in Phoenix doesn’t stay in Phoenix. Rumors – Why do people keep falling for them? 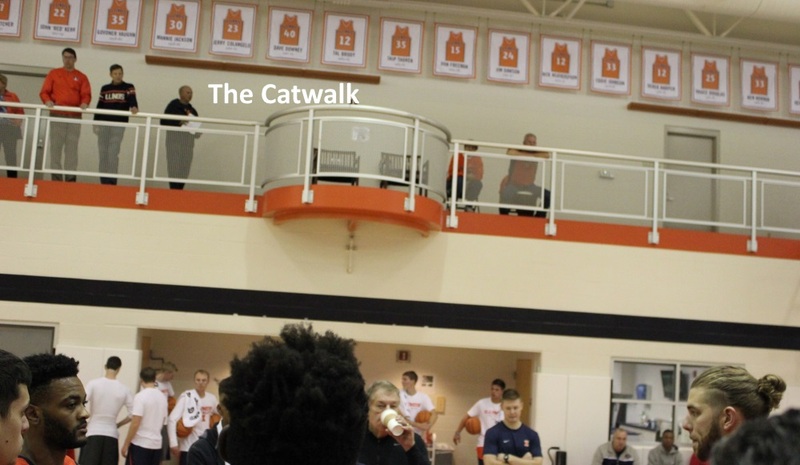 After 24 hours of conjecture about Jamall Walker’s machinations, a weary, emotional Walker stepped in front of a small group of reporters Sunday afternoon. 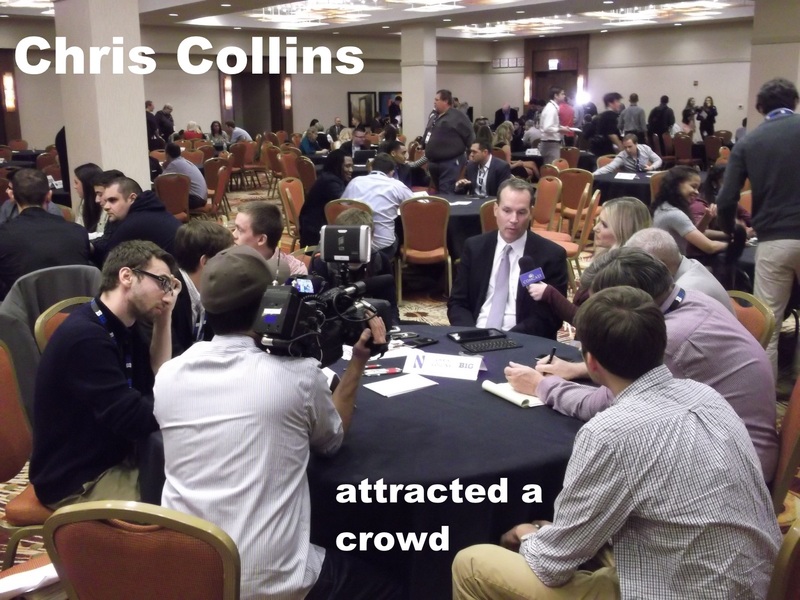 Has he been in secret contract negotiations with Cuonzo Martin? Did Josh Whitman lock him up with a long term contract and pay raise? Does he have Smith & Tilmon in his pocket? These are the things people people have been saying in social media. The truth, according to Walker, is that he took his wife to Scotty’s Brew Pub on Saturday night, having long ago promised her a dinner date. He had the shrimp tacos. How does Rebekah Walker feel about staying in Champaign? 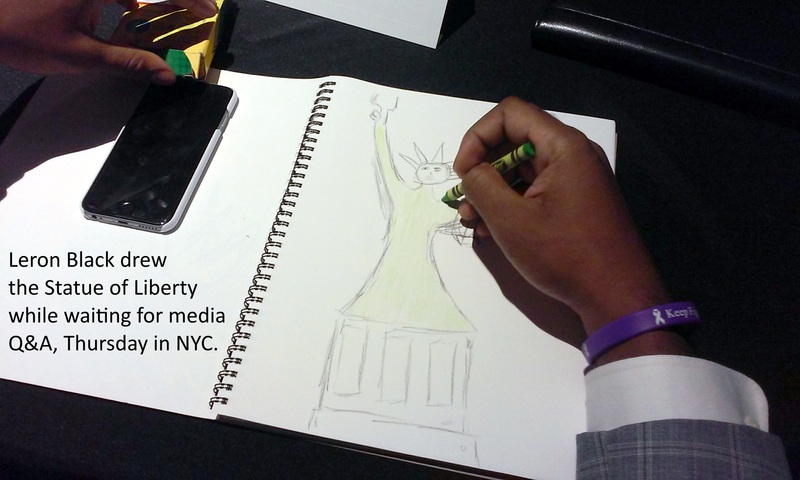 Simply put “it’s home” said Jamall Walker, noting that their boys were born here. It’s where they’ve raised their kids. 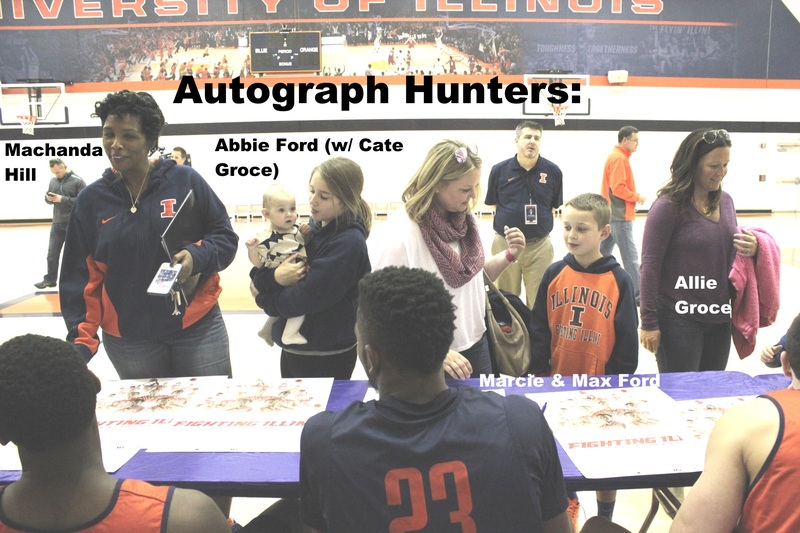 Has he talked to Brad Underwood about the future of the Illini coaching staff? He has not. What’s he been doing during the week? 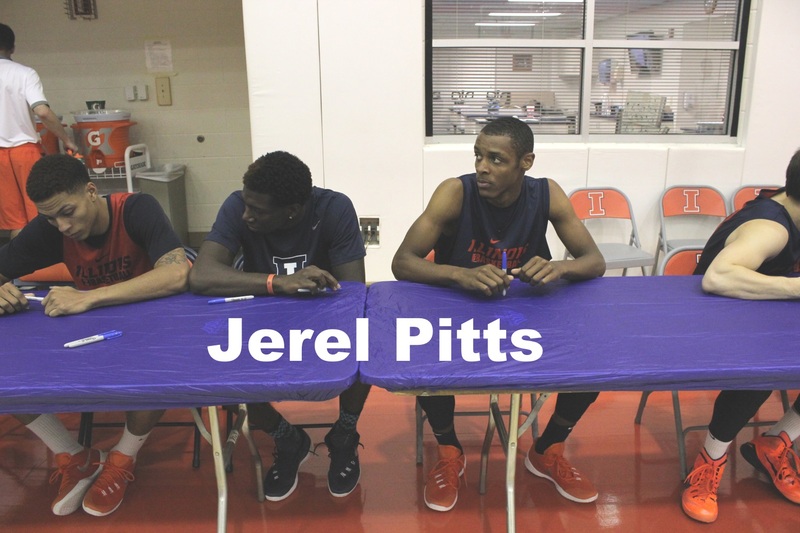 Has he been out recruiting, or keeping tabs on the Class of ’17 signees? Walker made no mention of either. 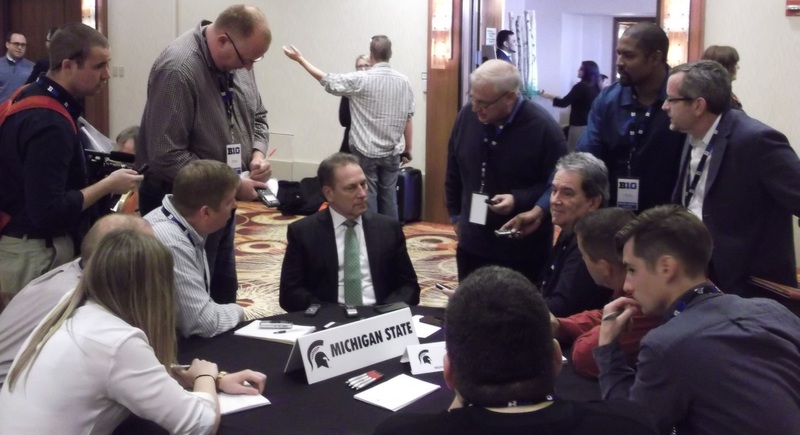 He talked only about prepping the team for Monday night’s game against Boise State. 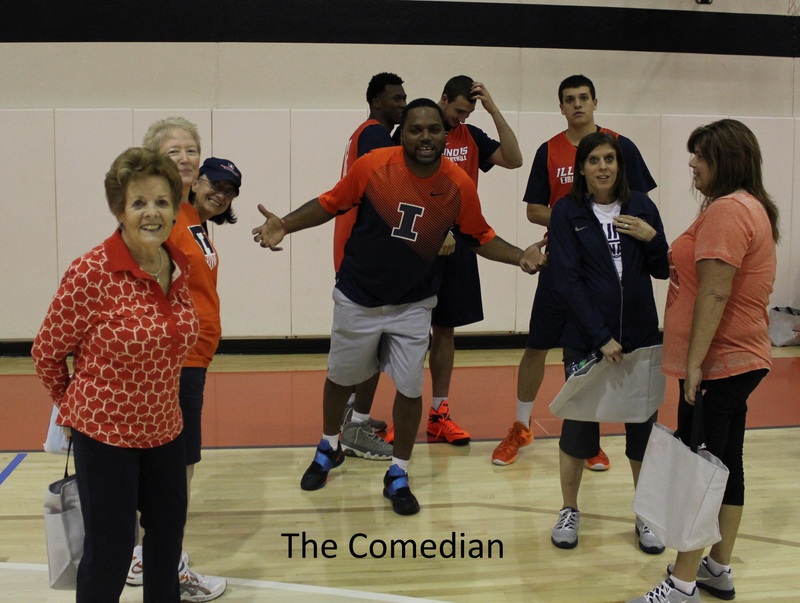 Basically, everything you’ve read about Illini basketball in the past week was untrue. Most of what you’re reading today is untrue. It’s like Coach K looking to buy land near Mahomet all over again. So the narrative about Walker keeping recruits remains just that. It’s a storyline with no known relationship to the truth. The good news is that, according to Michael Finke, the current players like the idea of playing for Brad Underwood. They’re excited about his offense, and feeling upbeat about the hire. But they didn’t have insider info either. Michael Finke says the players learned about Brad Underwood about five minutes before the rest of the world did, when they all got an email from Josh Whitman. The second iteration of Julie Pioletti’s Chalk Talk, a basketball clinic for women, took place at Ubben & Corzine on Tuesday night. Attendance was about a hundred, which is a shame because it really is a great event. 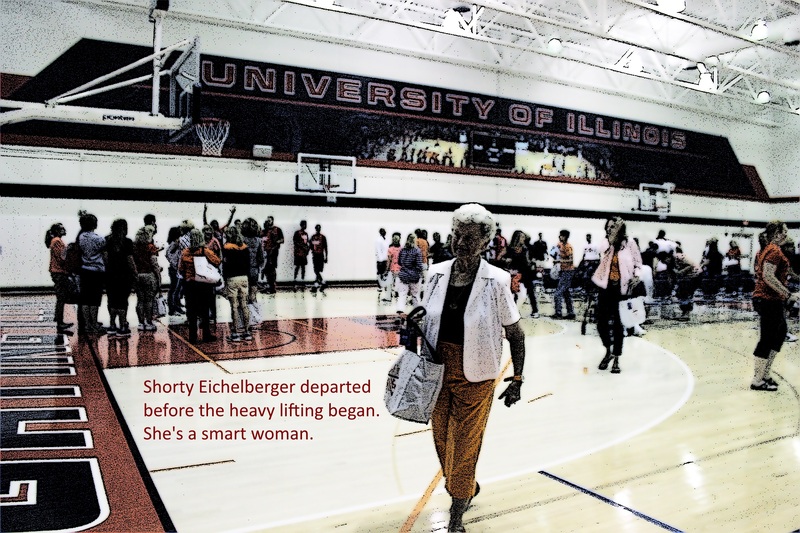 For a fee, women get a catered meal, a slideshow and presentation from the head coach, instruction from the assistants, and insight on day-to-day operations from the support staff. The money goes to Coaches Versus Cancer, but more importantly, it’s the best inside view of the team and its personalities. That was true again this year. The format was altered slightly. Jamall Walker coached the Pack Line Defense. Paris Parham taught rebounding. 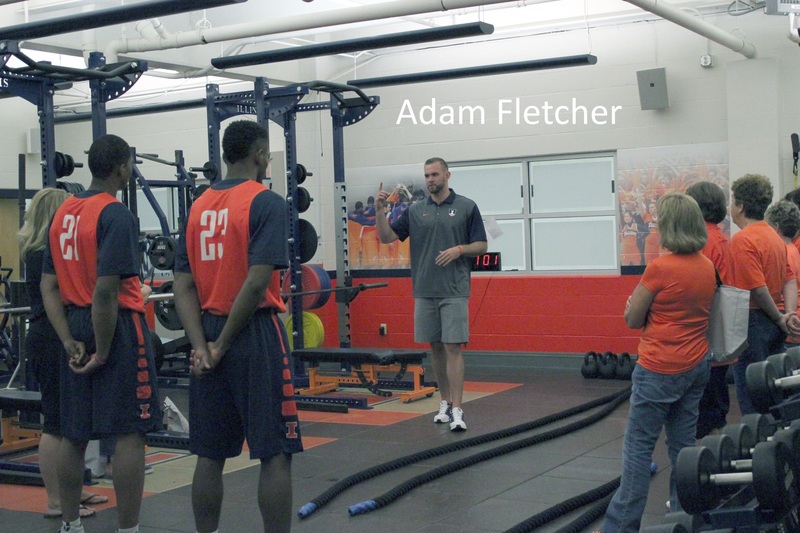 Paul Schmidt opened his training room to talk about sports medicine. Those workstations were featured last year. Last year Ryan Pedon provided a scouting report. This year Mark Morris discussed the hour-by-hour planning that keeps busy student-athletes fed, slept, taught and exercised on a tight schedule. 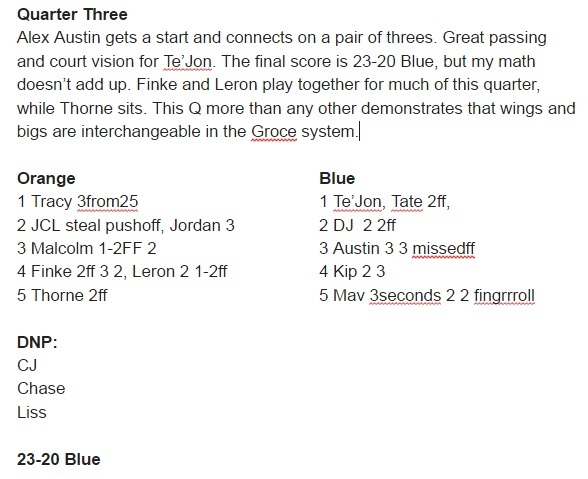 This was a key difference, because the Pedon presentation showed how the coaches & team prepare for specific opponents. In hindsight, the staff must have concluded that too much insider information was being offered to anyone who showed up. 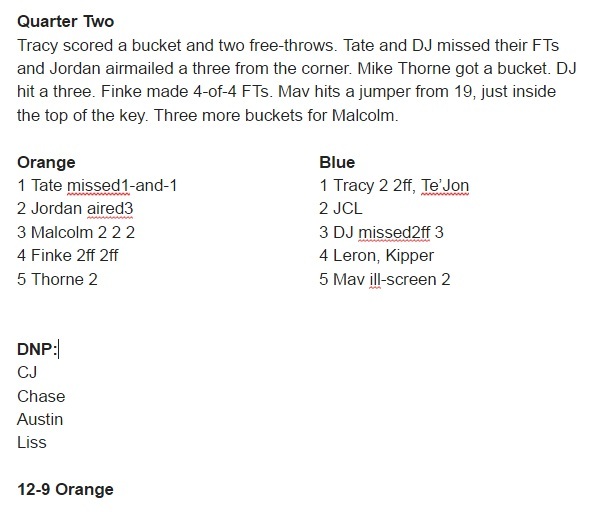 Instead, Morris offered a grid spreadsheet of Malcolm Hill’s weekly schedule. 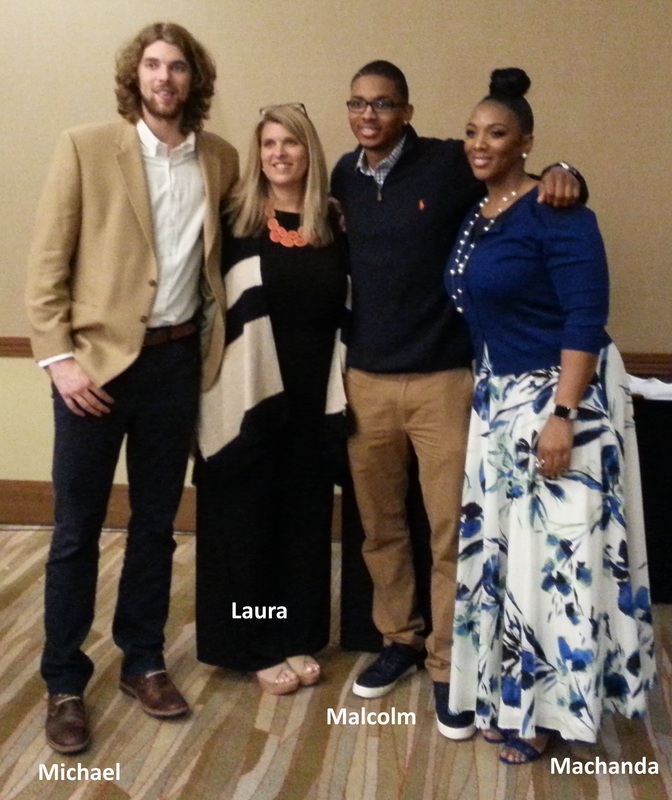 We learned that Malcolm started Tuesdays and Thursdays at 7:15 with yoga, that he had Anthropology 104 at Foellinger Auditorium followed by a quick lunch and Econ 102. Another graphic suggested traveling Illini men sleep in five-star hotels and eat in five-star restaurants, including Morton’s and Ruth’s Chris Steakhouses. Perhaps the star ratings were gleaned from TripAdvisor rather than Michelin. The Sheraton rarely earns such praise. Pedon’s replacement, Darren Hertz, conducted the station dealing with offense. College basketball is universally committed to the option offense these days, just like Nebraska football in the Tom Osborne era. Hertz spent his ten minute segments teaching his groups how to recognize defensive actions, and opt accordingly. At some points Dustin Ford joined the Hertz group. But for much of the night, Ford and Groce were in the upstairs office suite, on the phone with recruits. Last year Chelsea Burkart talked about nutrition. That segment was eliminated from the program this year, and Burkart has moved on. Like former Strength & Conditioning coach Mike Basgier, she’s taken a similar position at James Madison University. Stephanie Horvath is the team’s new nutritionist. Basgier’s replacement, Adam Fletcher, spoke about nutrition, as did Morris. We learned that Fletcher eats two meals every day with the team. Last year Paris Parham told a bunch of funny jokes. This year Paris Parham told the same jokes. Newcomers probably thought they were just as funny. Cheryl Easter laughed as if she hadn’t heard them a year ago, and I thought that was very diplomatic of her. “Paris needs some new material,” agreed the team’s tutor, Jessica Goerke. 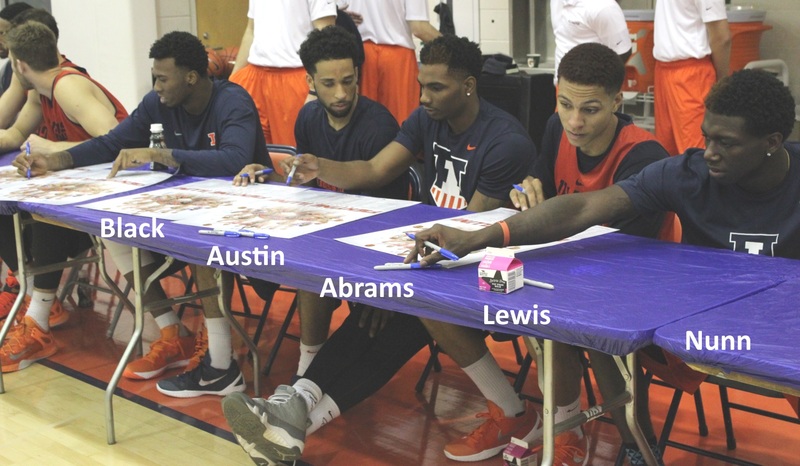 Illini players once again participated in the demonstrations, if capable. Tracy Abrams, who moved around the Ubben on a Bariatric Knee Walker (and demurred from having his picture taken with same) stuck with Schmidt in the training room. 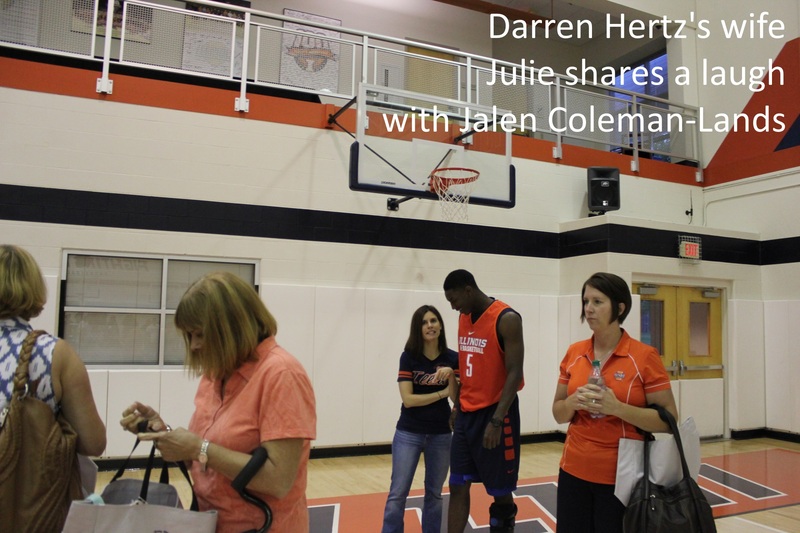 Jalen Coleman-Lands, confined to a walking boot, stayed with Morris in the team room. Newcomer Khalid Lewis joined Mike LaTulip, Michael Finke and grad assistant Walter Offutt in assisting Hertz’s demo. Aaron Jordan and Malcolm Hill assisted Fletcher in the weight room. 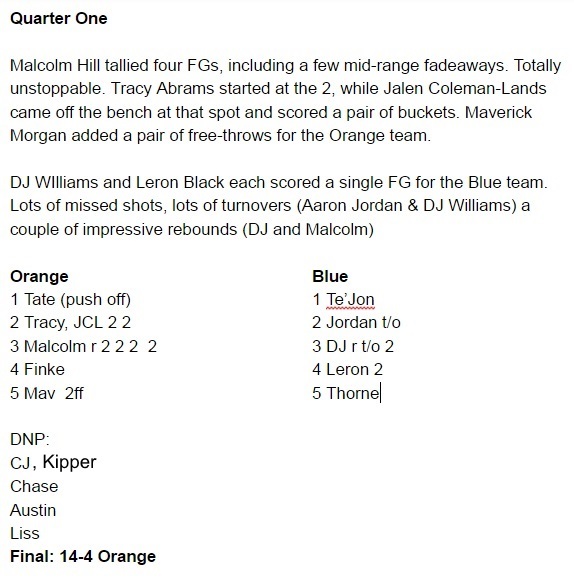 Maverick Morgan, Leron Black and Cameron Liss assisted Parham. Alex Austin, Kendrick Nunn and Dennis “D.J” Williams assisted Walker. Newcomer Mike Thorne did not attend. 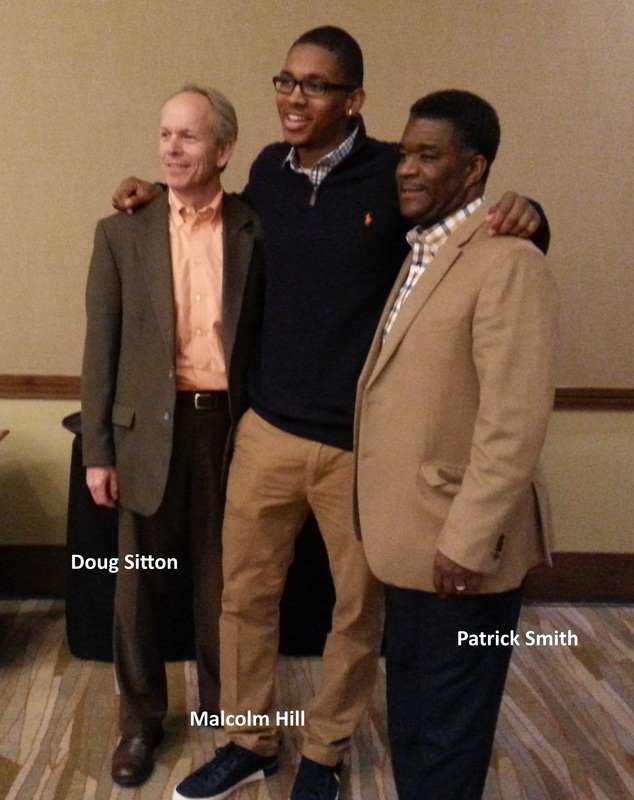 There was an obvious emphasis on the health and well-being of the student-athletes. 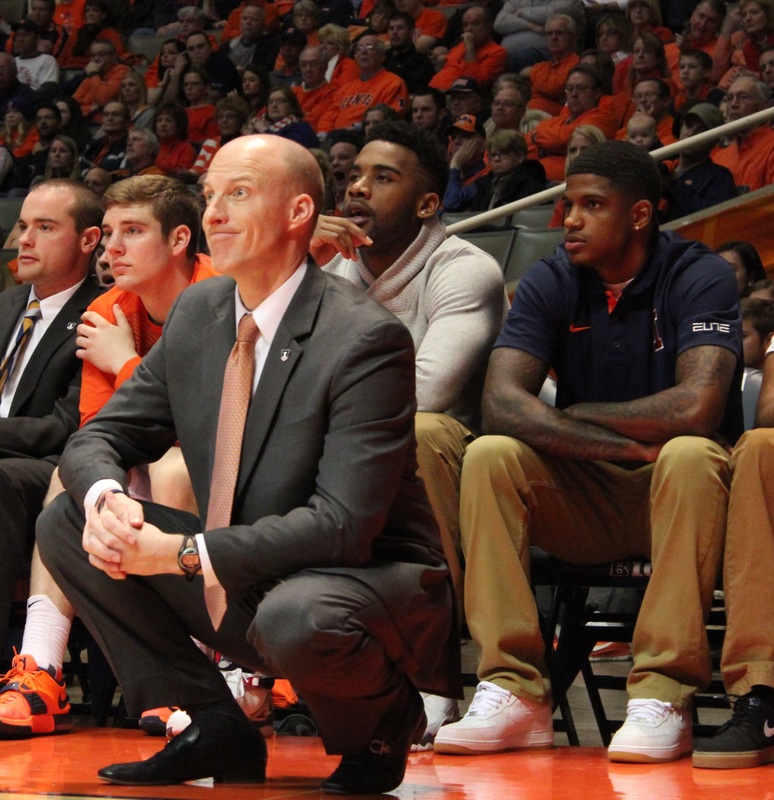 John Groce downplayed any motivation stemming from Tim Beckman’s unceremonious ouster for lacking that emphasis. And Groce is right to do so. 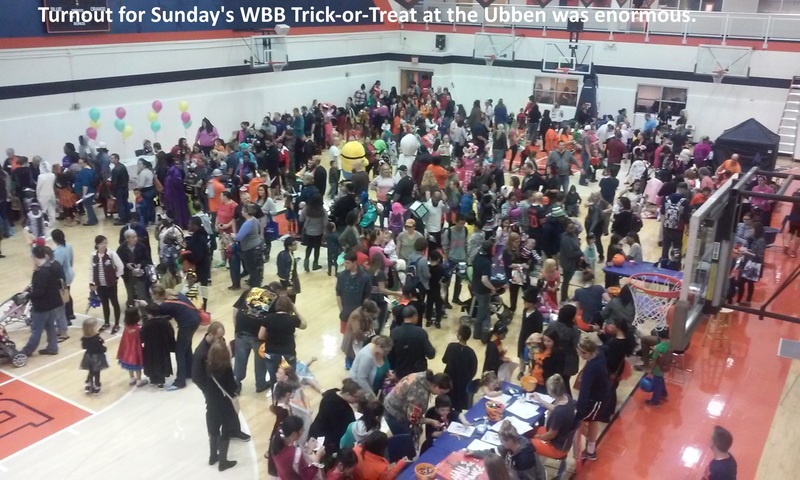 Sports medicine, conditioning and nutrition were just as much a part of last year’s event. 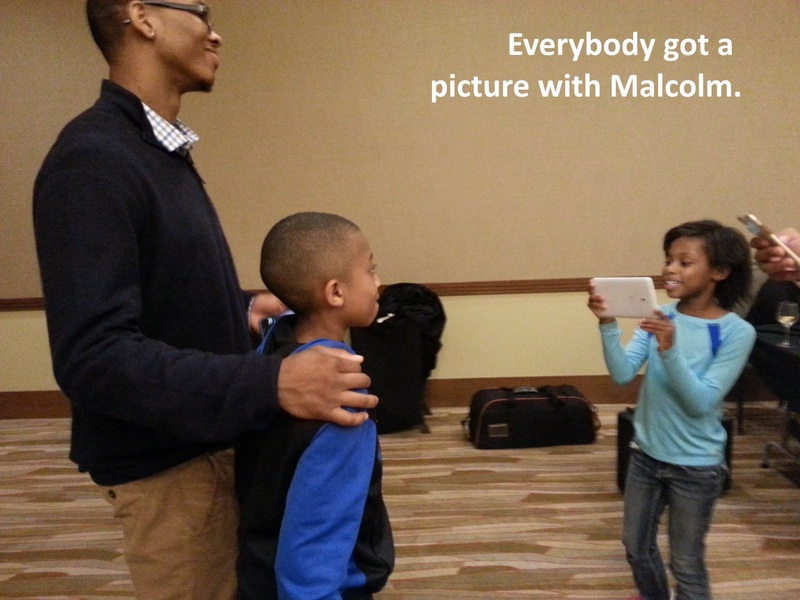 At one point during his presentation, Jamall Walker asked how many in his group had attended last year’s Chalk Talk. Three raised their hands. But the most obvious newcomer didn’t understand the question. She doesn’t speak English. 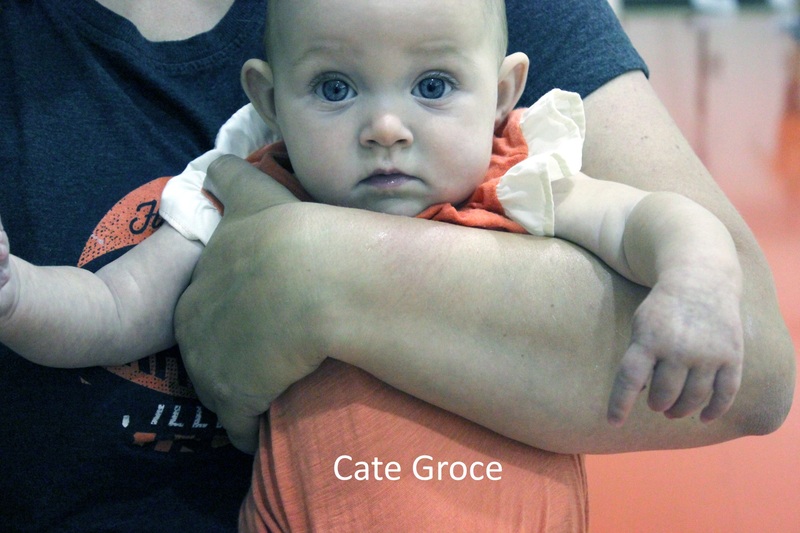 Her name is Cate Groce, and last September she was living inside her mommy’s tummy. Barb Steele, Groce’s mom, attended again. As did Laura Finke, Mike’s mom. 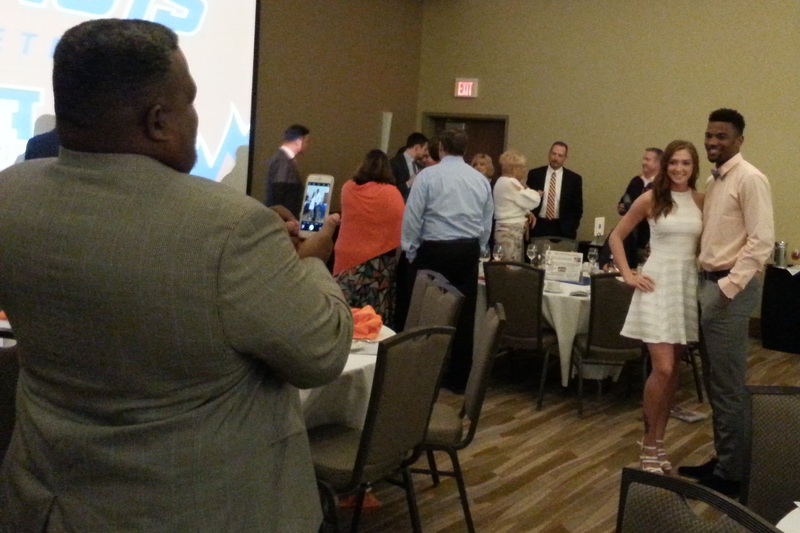 Everyone seemed to enjoy herself. The only problem is there weren’t enough participants. 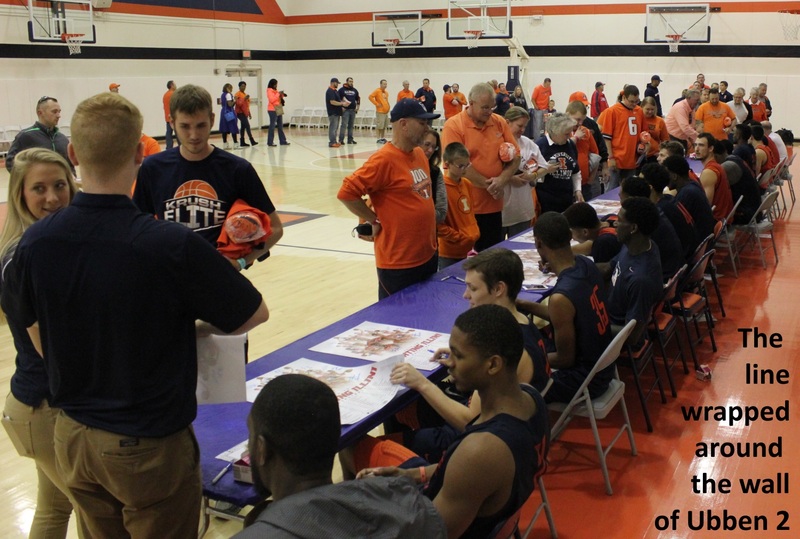 Publicizing the event is not a priority for Illini Athletics, because it’s only tangentially related to the program. Media got an email around lunchtime on Tuesday. Two reporters and two photographers showed up. We’ll do better next year. For completists, here’s an overly long movie chronicling the evening.